The construction industry is changing rapidly. The increased demand for efficiency, shorter delivery times, and higher quality is pushing owners and contractors to adopt new business models and technologies which will give them a competitive advantage. The integration of processes and improved communication throughout the design-to-construction life cycle has proved to be an essential part of this change. Integrated Project Delivery and BIM technology are today’s buzz words, and the necessity of a truly integrated social-BIM platform becomes evident. Vico’s next generation 5D BIM solution was created for this need. Vico Office is purpose-built for construction, and is designed as a tightly-integrated, BIM-neutral platform to which multiple types of BIM models can be published, synthesized, and augmented with cost and schedule information. To maximize efficiency and meet the distinctive needs of the various construction process trades and phases, Vico Office is structured in a modular way, providing you with a tailored, yet expandable solution and a consistent, easy to use environment. 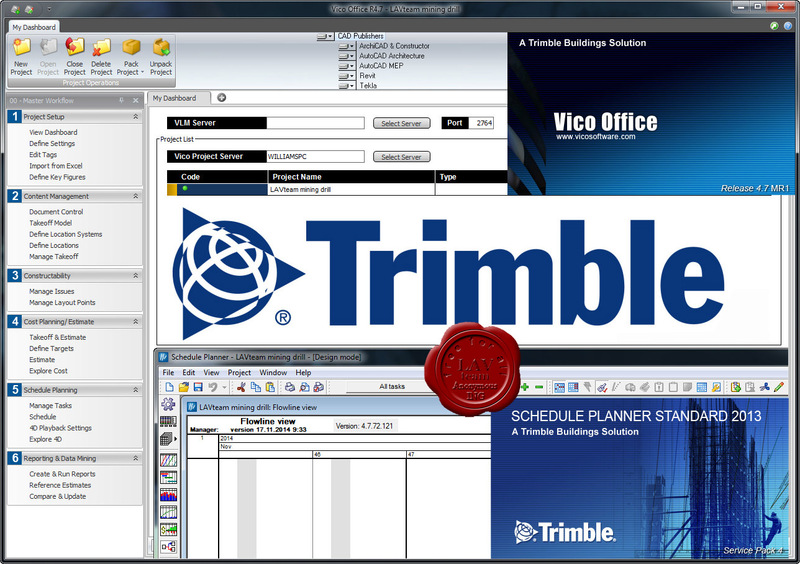 Using Vico Office, building owners and general contractors can collaborate efficiently, improve predictability, reduce risk, manage cost, and optimize schedules on large, complex building projects. We believe our integrated construction management software offers project teams the flexibility to specialize their disciplines (modeling, scheduling, estimating) and still collaborate (coordination, budgeting, and project control with all stakeholders).